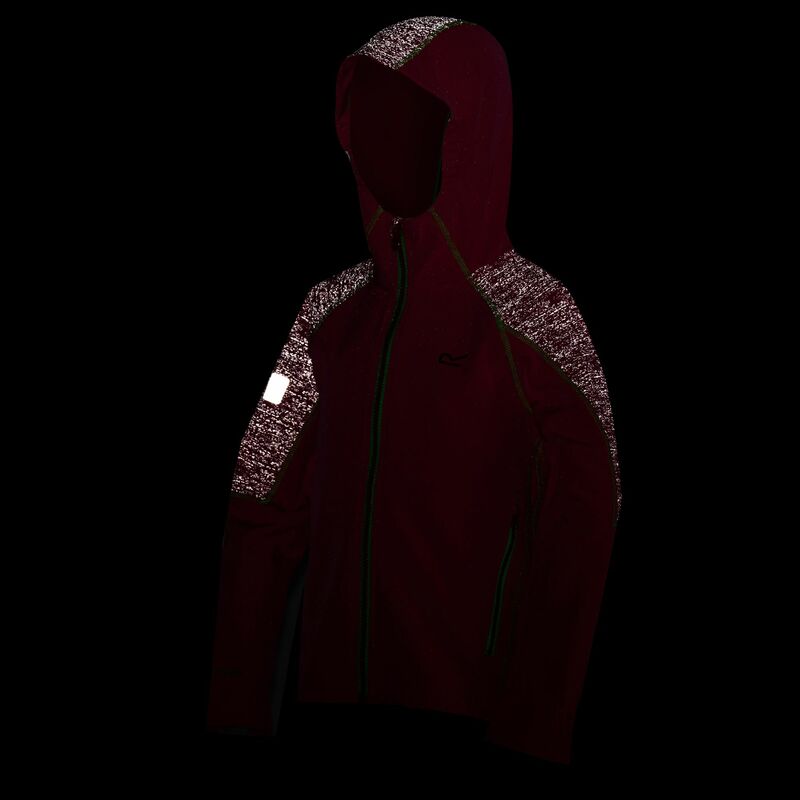 Weather resistant softshell jacket with 360-degree reflective. 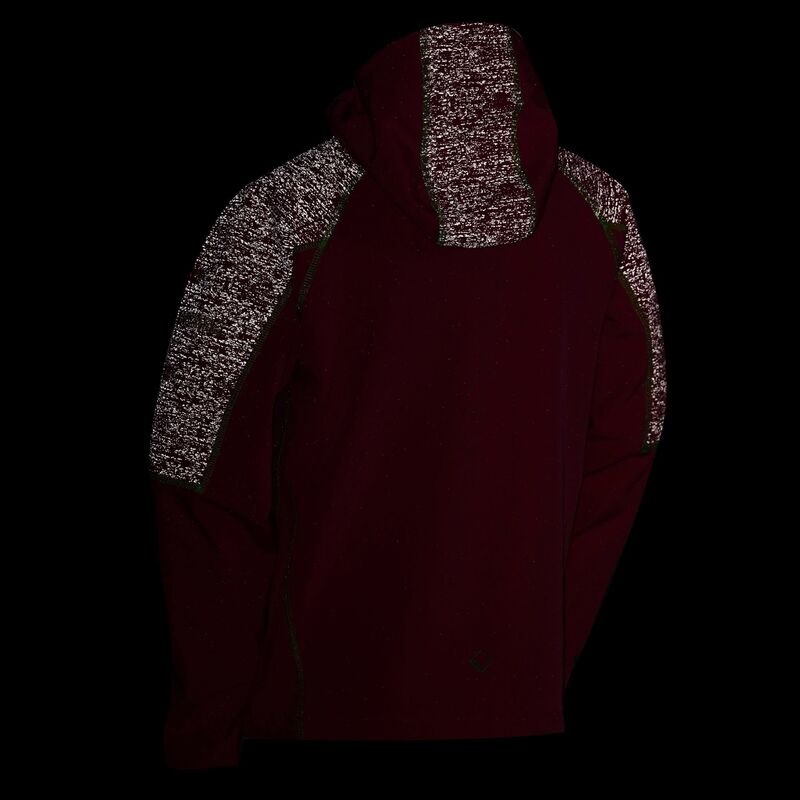 Designed to keep them warm, dry and comfortable from sunrise to sunset. 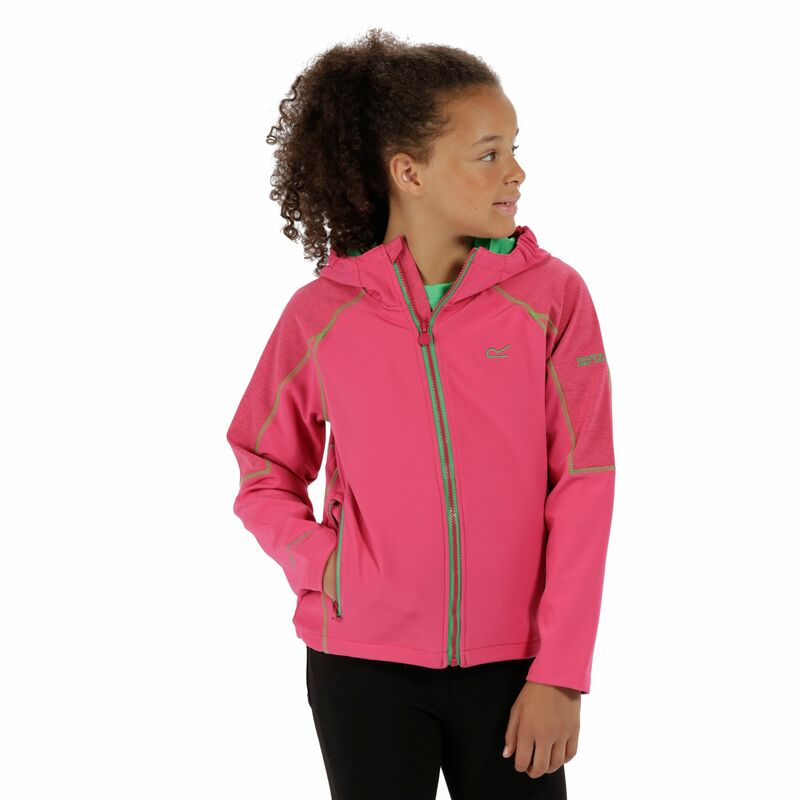 Made from lightweight and stretchy DWR (Durable Water Repellent) treated SOFTSHELL fabric to protect from the wind and light showers. 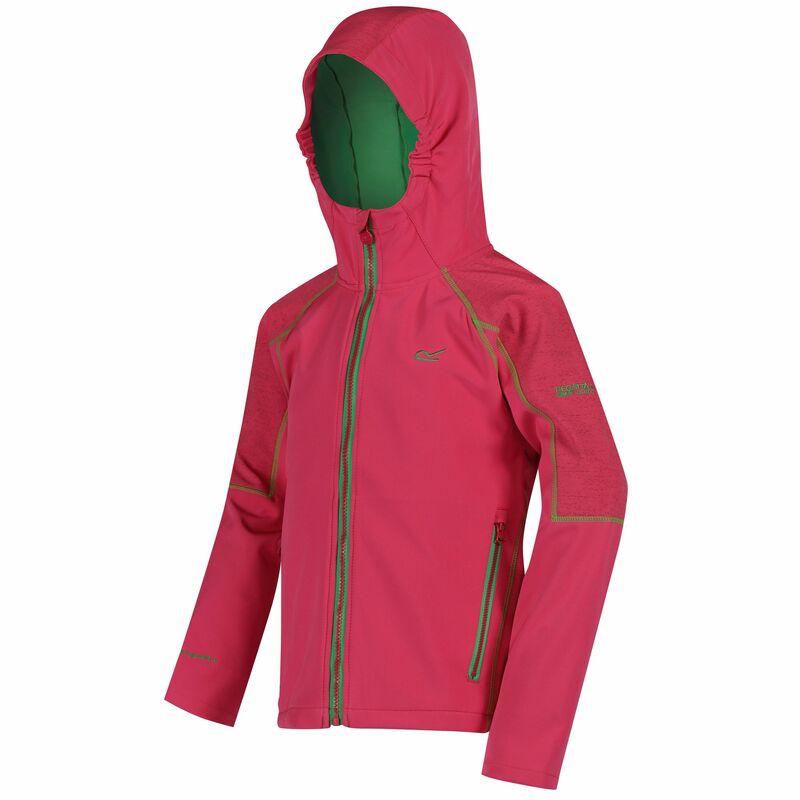 The soft jersey backing insulates while the peaked hood provides optimal visibility and coverage. 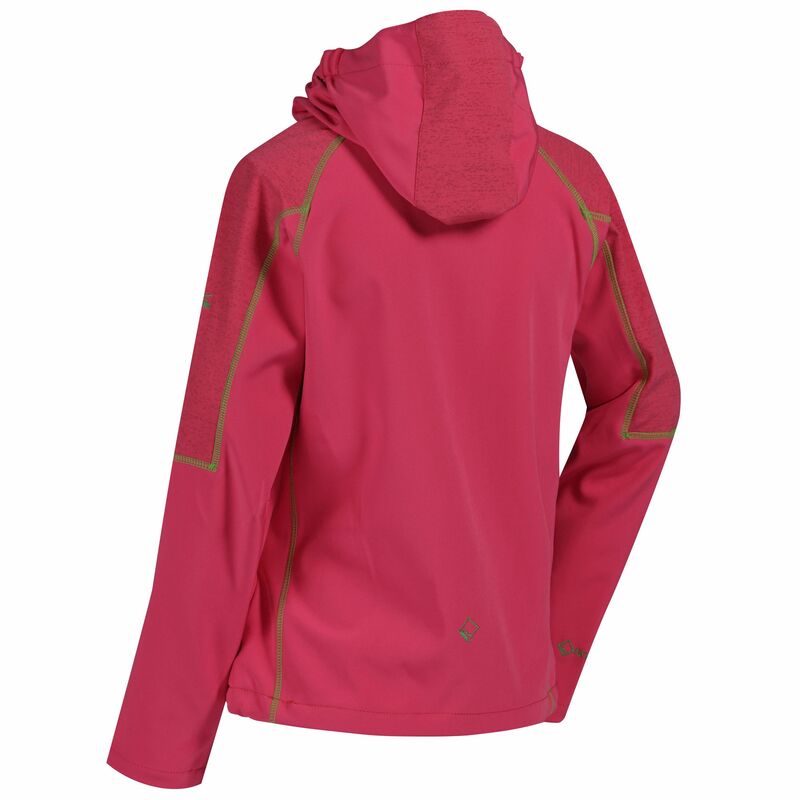 Highly reflective print panels maximise visibility out on the trail. With our signature R on the chest.